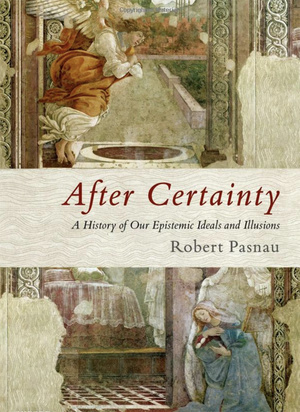 In After Certainty, Robert Pasnau constructs a history of knowledge and concludes that most theories of knowledge aren't up to par. But, he says, we can hope. Jean-Paul Sartre once declared that human beings are condemned to be free. This proclamation, a cornerstone dictum of existential thought, can be similarly extended to another pressing topic in philosophy: knowledge. Human beings can also be said to be condemned to knowledge, though not in the same way Sartre conceptualizes freedom. We are condemned to reckon with this thing we call "knowledge", presumably a description of a relationship between the human mind and the external world. Under a standard theory, we come to know things if there exists a correspondence between a feature of the world (say, a tree) and one's mental apprehension of that feature. Of course, knowledge rarely holds up this neatly when faced with even mild intellectual scrutiny. Skeptics have existed since the pre-Socratics. To say humans are "condemned to knowledge" is to say that human beings, from antiquity to the present, have a continued investment in knowledge as a thing which they possess, or to which they have access. It is not enough for human beings to simply move about the world and go about their business, as if they know the things they're doing. Sure, skeptics from Pyrrho to David Hume provide more than enough reasons to question our knowledge impulses, but true skeptics could never flourish in the wild, or under late capitalism. It's difficult to imagine someone so committed to uncertainty that they anguish over getting out of bed in the morning, for fear that their perception of the floor beneath them is false. But if skepticism and other challenges to knowledge lack practical applications, they nonetheless persist in literature, art, and philosophy, as they have for millennia. We see the skeptical posture towards knowledge in the pod where Neo awakens in The Matrix (Wachowski Brothers, 1999), a sci-fi rendering of Hume's famous "brain-in-a-vat" scenario. Christopher Nolan's cerebral heist thriller Inception (2010) anchors itself on the core doubt of René Descartes' Meditations on First Philosophy: namely, that at any given moment our seemingly overwhelming sense of a "real world" before us can be nothing more than a dream, perhaps one even conjured up by external forces. (For Nolan, a group of "mind-thieves" conjures this illusion; for Descartes, an evil demon pulls the illusory strings of reality.) Even if we cannot accept a skeptical challenge at face, we still find it compelling, or even thrilling, to push our dogmatic acceptance of reality to its limits, to the point where what we take as knowledge begins to fray. How far does our doubt – capital-D doubt – really extend? The machinations of 21st century capitalist life mandate that we move and sleep, then hit repeat; we receive little to no time to wonder just how much our brains "know" the world in which we live. The question itself is a luxury, a ponderous topic which attempts to throw sludge between the gears of our everyday existence. Increasingly, few people can afford such things. As far as luxuries go, however, Robert Pasnau's After Certainty: A History of Our Epistemic Ideals and Illusions more than merits its expense, both monetarily and in time spent reading. Drawn from Pasnau's six-part 2014 Isaiah Berlin Lectures at the University of Oxford, After Certainty takes on the ambitious burden of constructing a history of epistemology, and from that history providing a prescription for how knowledge can be properly conceptualized. Pasnau, a professor of philosophy at the University of Colorado at Boulder, argues that no branch of philosophy is more divorced from its history than epistemology. In this way After Certainty begins in irony: the realm of philosophy devoted to knowledge does not itself know the full picture of its history, and its varied historical contexts. Through the course of six chapters, initially delivered as the aforementioned individual lectures across six weeks, Pasnau paints an elaborate historical collage of competing theories of knowledge spanning Descartes to Hume. It's common practice for major lecture series like the Isaiah Berlin Lectures to get turned into academic monographs years after their initial public delivery. The Uehiro Lectures, a lecture series on ethics also given at the University of Oxford, have in recent years led to significant publications such as T.M. Scanlon's Why Does Inequality Matter? and Christine M. Korsgaard's Fellow Creatures: Our Obligations to the Other Animals. In presenting these lectures as full-length books, Pasnau and these other philosophers have to conceptualize how to present an orally given series of talks in a format befitting of a printed book. Pasnau's decision is at first unusual, but careful reading will find his strategy rewarding and even natural, preserving the lecture style of the material while utilizing the book format to enrich the lecture content. Pasnau opted to keep the lectures, it seems, largely as written: the text contains sentences like, "In my previous lecture", and other sorts of direct audience address. Rather than expanding or re-writing the talks to give the feeling of a book-length narrative, Pasnau presents the six lectures – the first 138 pages of this 400-page book – and then builds on his observations and arguments with almost 200 pages of detailed endnotes for each chapter. Normally endnotes are cause for dread; it's not much fun to have to flip back and forth between hundreds of pages to get the full picture the author presents, Infinite Jest fanboys be damned. But Pasnau extends an olive branch: he structures the footnotes to be read continuously (i.e., in one consecutive flow, rather than moving from the original text to the endnotes and back), after one has read the relevant lecture. In this way the endnotes are more like "shadow chapters" rather than typical endnotes, and for that reason they are anything but a chore. The combination of the highly readable and accessible lectures and endnotes builds a historical picture that few other texts on epistemology have ventured to create. Pasnau's expertise in medieval and Early Modern philosophy gives After Certainty a long historical arc, a sharp break from the technical and at times microscopic approaches to epistemology seen in contemporary philosophical literature. The intellectual journey of After Certainty concludes with Hume, and while Pasnau's primary goal is to establish a millennia-long narrative about how knowledge has been conceptualized, a task which he ably achieves, it's a shame that not much space was given in this expanded book to the turns epistemology takes in the 20th century. Pasnau lightly forays into contemporary territory – there is a brief discussion of internalism and externalism, two popular modern-day views – but, for the most part, one must speculate about how, say, Pasnau would deal with Edmund Gettier's famous "knowledge problems", a kind of thought experiment one can see play out in the final scene of Oscar Wilde's The Importance of Being Earnest, when Jack discovers that, all along his real name was Ernest. This is not to say, however, that Pasnau lays out a thin history – far from it. The material spanning medieval scholastic philosophy to the rise of Descartes is a rich mine of historical readings, many of which cover philosophers on the periphery of the canon. But with its compelling narrative stretching from the ancients to the moderns, After Certainty has the potential to cast valuable light on contemporary debates about knowledge. Still, it provides us with a valuable place to start. The core premise of Pasnau's lectures takes as its operative term "idealized epistemology", by which Pasnau means a theory of knowledge which "first… describe[s] the epistemic ideal that human being might hope to achieve and then, second… chart[s] the various ways in which we commonly fall off from that ideal." In other words, the history of epistemology consists of people setting a high goalpost and then explaining why it's inevitable to the human condition that we will not reach that post. The study of knowledge comes in when philosophers attempt to outline the space between the goalpost and the human mind, that space being the kinds of knowledge that humans reasonably have on a day-to-day basis. It's easy to mock philosophers as over-read and over-confident individuals who spend their whole lives trying to answer questions too elusive for any one person's mind. One of philosophy's oldest parables is found in the pre-Socratic era, regarding the philosopher Thales. While looking up at and pondering the stars on a lonely road one evening, Thales stumbled and fell into a ditch. An old woman came upon this scene and said to him, "How can you hope to understand the stars, when you cannot see what is in front of your feet?" The path of philosophers spelled out by Pasnau, however, is a catalogue not of starry-eyed idealists who believe that with the right syllogism they will unlock just what it is that allows us to know things. Instead, the historical record shows dozens of philosophers checking themselves. Few if any rush to proclaim a grand theory of knowledge. Most recognize how limited humans are in their capacity to connect with the world, and they correspondingly attempt to shape their epistemology to match human interaction to the way the world is. I will not attempt to break down the cast of characters Pasnau introduces – Aristotle, Jean Buridan, Descartes, Augustine, and Hume all make significant appearances, in addition to a bevy of medieval and Early Modern philosophers. Although the bulk of Pasnau's argument runs only 138 pages, the historical account it presents is dense and best read in order. What is important to know before reading is that Pasnau masterfully threads together centuries upon centuries of complicated philosophy with an almost novelistic sweep, and rather than cap it all off with a grand theory of knowledge, he invites the knowledge-seeking to a simple, seemingly naïve request: hope. We have no choice but to settle for considerably reduced ambitions in epistemology. Perhaps the only good news here is that settling for less is something we find it remarkably easy to do. It is simply not within our nature to worry about such matters for long. Pasnau's words here are not the mark of a hardline skeptic; in fact, he rejects skepticism as a belief to which one can commit. At one point, he adopts a position of philosophical humility toward the very word "knowledge" itself, writing, "The word 'knowledge'… can take care of itself. 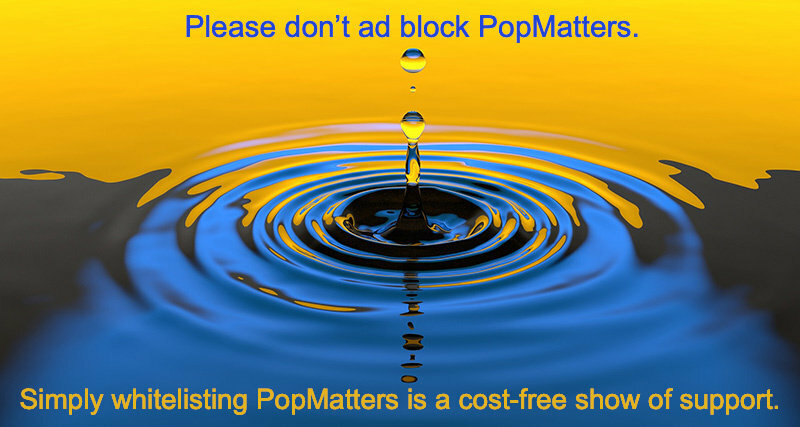 It needs no defense from us and deserves to be left in peace by the philosophers for a while." Humans experience life in the world every day, acting as if they have what is philosophically supposed to be knowledge, and few end up stumbling so badly that they reveal a fundamental fissure between the human mind and the external world which never shall be bridged. Upon surveying a broad history of knowledge, Pasnau concludes that while such quests have been fruitful, and even illuminating in their failures, for the everyday person and even for the uncertain philosopher, hope can lead the way, cutting through the hand-wringing of the skeptics and taming the lofty expectations of grander theories of knowledge. It's at this point that I should confess that I've a dispensation to skepticism. Though I wouldn't call myself ideologically skeptical, I'm attracted to skeptical arguments about knowledge, particularly those posed by Hume, who is a comparatively minor figure in Pasnau's study. Coming to After Certainty, I didn't expect that Pasnau would adopt an approach which concludes with the almost life advice-y "hope" directive, given that skeptical challenges to knowledge are generally not taken too seriously, and few folks other than Peter Unger would claim to be skeptics at a philosophical level. Pasnau cites a PhilPapers study from 2009 which shows that less than five percent of academic philosophers identify with skepticism. But if "hope" isn't, for Pasnau, a skeptical posture, it can feel that way to those who want a cogent theory of knowledge, particularly in an increasingly scientific age. For Pasnau to reach the conclusion of hope, following an extensive review of many theories of knowledge which contemporary philosophers hold – as well as ordinary people, albeit without the philosophical jargon – is a remarkable move, one that feels as motivated by a reflection on lived experience as it does by philosophical analysis. There are dozens upon dozens of academic monographs which suffer the fate of being academic monographs – which is to say, largely unnoticed by the public, due to what is perceived as non-mass market subject matter (and, yes, epistemology doesn't typically move copies) and to wildly inaccessible price points. (Well, unfortunately, After Certainty will put you out 75 bucks… maybe there'll be a paperback?) After Certainty doesn't deserve that fate, for like Kant said of Hume's challenges to epistemology, an attentive read of this book will awaken even the most assured mind from a "dogmatic slumber". One may have more confidence in knowledge than to merely hope, but Pasnau's work should at least unsettle the notion that we can idealize how we understand our own knowledge. José Saramago begins his 2002 novel The Double (Harcourt) with a short proclamation from The Book of Contraries: "Chaos is merely order waiting to be deciphered." In an age as technologically advanced as ours, such a statement seems innocuous: of course, with our vast resources and vast systems of higher education, we can solve whatever is put in front of us if we put our minds to it. But the age-old problems can withstand even the most epistemically confident of us, and knowledge is one such problem. Pasnau's history of epistemology may not give us the distilled formula we want from knowledge, nor does it assure us that if we think long enough about knowledge that we'll be able to navigate this world any better. But After Certainty does see human experience for what it is, and it's not something captured by the high ideals conjured up by philosophers. At the very least, Pasnau lives up to a standard he sets for himself halfway through After Certainty, when he muses, "This has often struck me as the perfect model for how all philosophical texts should end: not pretending to have reached any sort of closure, but in mid-thought, hopeful of taking yet another step forward."